Take ant observation to new heights with Ant Mountain. Learn all about ants and how they live with our NEW, escape-proof ant-tunneling kit. 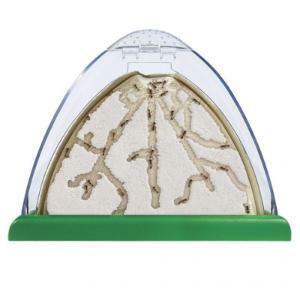 Our Ant Mountain has a fascinating inside/outside design which allows kids to watch their busy ants work cooperatively to tunnel, explore and forage throughout their rugged environment. 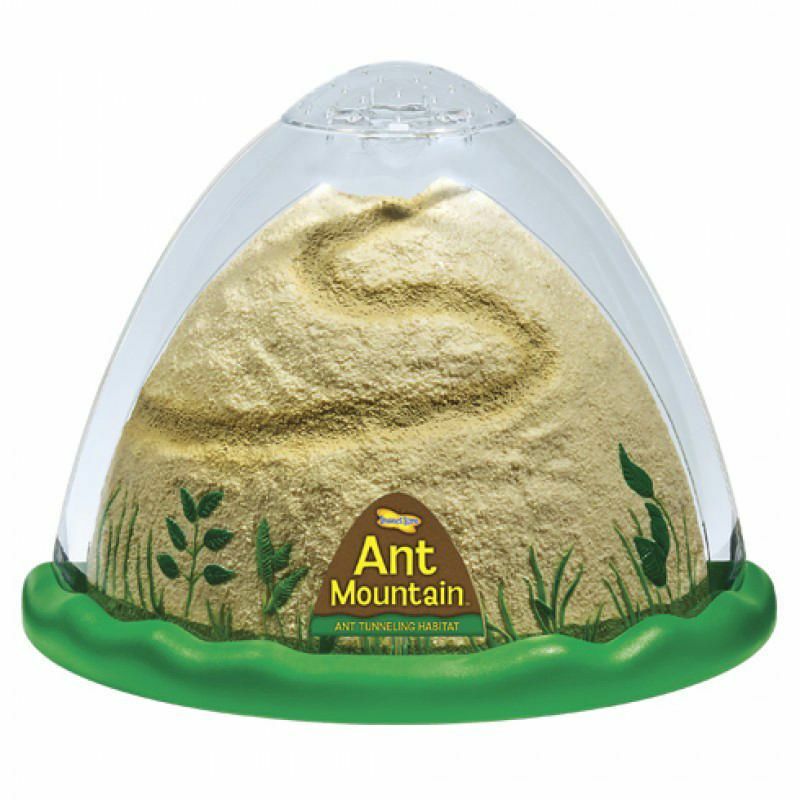 Please note that Insect Lore does not supply the ants for Ant Mountain. When your Ant Mountain arrives, you must redeem the enclosed certificate to receive your ants (additional fees will apply). Your ants will love tiny bites of celery, carrot or apple (about the size of a popcorn kernel) every three days. They also need a couple of drops of water every third or fourth day. Your ants will live approximately 2-4 weeks in ant-mountain. Ordering information: Please note these ants are not supplied by Ward's, but by a third party. Additional fees will apply to redeem. Delivery information: Due to shipping restrictions, live ants cannot be shipped to Oregon or Hawaii. Caution: Recommended for ages 8 and up with adult supervision.